It’s time for VBS! 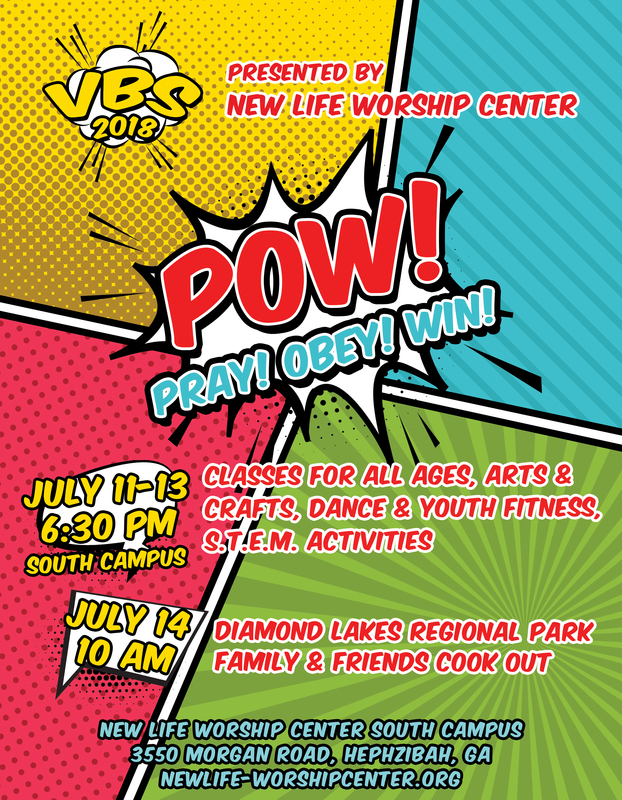 Vacation Bible School will be happening at New Life South Campus July 11-13 from 6:30 to 9 p.m. Our theme is “P.O.W. – Pray, Obey, Win”. On July 14th at 10 am, we’ll be cooking out at Diamond Lakes. It’ll be day filled with fun! All are welcome. There will be classes and activities for all ages.